All the time I see shooting videos of people misapplying walking and shooting i.e. shooting on the move. This is not limited to amateur videos, but seems to be embedded in the shooting / training culture. It is prevalent in law enforcement shooting videos, or more accurately, commercials created that aim to sell to the LEO/SOF community, or to civilians who fall victim to the ‘cool culture’ that is portrayed. Because, we must admit, shooting on the move looks cool. I am talking about shooting while walking. And thus those aiming to sell product or services will show it. They will also teach it, because it is what the market wants. I have no issue with the teaching of shooting on the move, but I consider its misapplication to be dangerous. I have a pet theory that due to the GWOT focus on CQB-type activities and training, this has led to dangerous lessons learned by those not fully grounded in infantry training. What do I mean by this? Well, shooting on the move is a valuable skill for CQB. However, if you do not understand context, and do not have well rounded tactical understanding, this gets used at inappropriate times. To make it more confusing, there is a also a mix up between SWAT-style training, and the military application of structure entry and clearance. Often, a SWAT-style police action is focused, in simple terms, on the interior of the house i.e. the team will roll up in a vehicle, dismount, stack, and enter. In a military environment (read any combat/tactical environment) a structure entry and clearance takes place within the tactical whole. The whole is effectively a squad operation where the entirety of the objective must be considered, including support by fire positions, approaches, entry points, and clearance priorities. Thus it is like any squad attack, but with the additional dimension of a structures(s) on the objective. Support by fire, covered approaches, must be considered and utilized. What kicked this post off for me was two recent videos that I watched. No names. One was of two guys exiting a vehicle, and attacking targets in another vehicle. Each man approached from his side of the car, executing shooting on the move perfectly. Great demonstration of the skill. But real world application? They were both focused through their sights on the other vehicle, walking slowly to steady their aim, letting rip at the targets. There was no consideration for the enemy having a vote, for use of cover, for the enemy not being where they thought they were (i.e. all behind the vehicle). They would have been better off suppressing the enemy, then moving in bounds covered by the other. It is called fire and movement. This is why the 3 second rush was invented. You cannot expect to locate and suppress all the enemy all the time, hence you move in short rushes covered by a buddy. It is infantry basics. The other video was an expensive commercial for the SHOT Show made by a well known company featuring LEO landing by helicopter and approaching a structure, all moving at the same time at the walk, all shooting. Then some footage of clearing the building, but plenty more footage of guys just shooting on the move outside. Looked really cool. One unlocated / unsuppressed enemy in cover would have wreaked havok. It hurts my head that I actually have to make these points, but this has become part of the training culture. Now, please don’t misunderstand me (but this is the internet so how can I expect that!) Shooting on the move is a very valuable skill. It must be practiced on the square range and got right so that you can apply it to where it is needed – for CQB. Thus, it is designed to be used within structures where your primary firing position will be standing and where you may not be able to take cover. If you are moving down a corridor or into a room, you must be able to engage targets and shoot on the move. The problem comes when that square range training, for CQB, is taken and misapplied by utilizing it out in the open. What is also a problem is when CQB drills are applied to moving out in the open or between buildings, where the teaching is for a bunched up ‘stack’ moving across open ground. Open areas in urban combat are kill zones and you either have to pick a covered route, move through the buildings., or have suppressive fire to get across. Thus, moving in a tight stack, slowly, is not the ideal. You need to run across, with dispersal (or fast as a group), in most cases. Trying to move slowly all tight together is going to get you killed in a burst. But again, it’s the prevalent training culture. The prevalent training culture does not take account of competent unsuppressed enemy that you may not have located. It assumes that you are bullet proof as you move forward at a slow walk in the open, hammering the known target i.e. it assumes dominance on the battlefield and that you are bullet proof. This is why we teach the RTR drill as the individual react to contact drill anywhere in the open (CQB is different, and is taught separately). What does the RTR drill effectively mean? Return Fire (as necessary) – this is your immediate reflexive fire response to a sudden threat. Return Fire (as appropriate to the situation). What this comes down to is the ability to return immediate fire as appropriate from the standing position. This is to try to stop the immediate threat, or at least put the enemy off his aim if you don’t actually hit, with a view to allow your buddies and you to get to cover. Once in cover you are locating the enemy, engaging, and communicating. After that, you do whatever drill you are going to do. One other thing that I disagree with, in relation to this, is the standard FM teaching that if a team is assaulting (in the open) by fire and movement, that when they get to grenade range they should all get up and ‘assault through’ together. At MVT classes we teach a better technique than this. The assault through together technique works fine if you are sure all the enemy are in one place and you have them suppressed or killed, then you are simply moving through to mop up. Granted, it is also supposed to be conducted within a squad attack scenario where there is another team providing support by fire from a flank as you assault on to the objective. But the serious weakness is the potential presence of enemy in depth or mutually supporting. Also, you may have to assault through an area across which enemy are spread out, or have crawled to if wounded, and thus it might not be easily defined. Thus, we teach to continue the fire and movement through the objective, actually breaking down into smaller buddy groups as you assault through. Because remember, this is why the 3 second rush was invented. If you are moving through in short rushes from cover to cover, whether firing or simply doing overwatch for your buddies, you are harder to hit from another enemy position than a line of guys assaulting through on line. 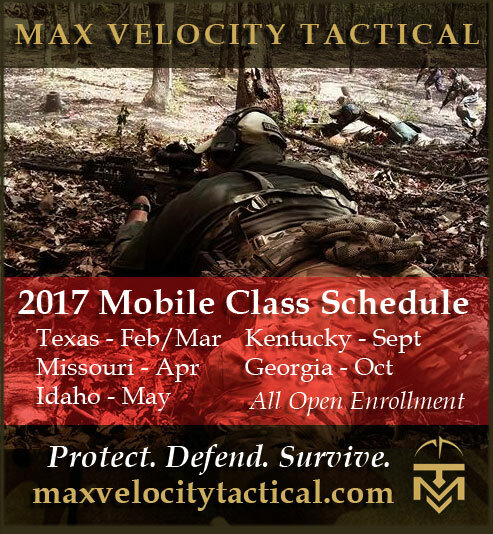 What I see as missing on these cool-guy square range classes (other than genuine infantry tactics) is any realistic teaching about taking cover. I see a focus on carbine skills that do not fully take account of rounds coming back at you. We are seeing carbine drills, not basic tactics. Also, much of the stuff that is genuine and very relevant to CQB training is misappropriated to what people think is appropriate tactical behavior in the open. It is not. On other thing to consider, and this is going to be heresy against the current thinking, is that if you do happen to be shooting on the move in the open, not in a CQB environment, then you may be applying a very different technique. This is something that I learned ‘back in the day.’ Shooting on the move in a CQB environment is a specific technique where you are trying to move while maintaining accuracy to engage targets. If you are in the open and dashing from cover to cover, or through the enemy position, and you get a threat, you may want to simply engage on the run, stream firing as you run through. This is fast and aggressive but mitigates against dying if you move slowly at a steady smooth CQB pace. It is less accurate and more instinctive, but you make up for that by stream firing. I’ll put a video below to show some of what I mean by that. Please don’t read too much into the video itself, it is just something I made and given that I am alone, I cannot fire and move with a buddy. I would most likely break contact, particularly given the volume of incoming fire we put in the video! But there are some examples of movement techniques in there. Again, watch but don’t read too much tactical into it. Camera is on top of my head. The key point is that I am not advancing up the valley, bullet proof, at a smooth walk! think I may have seen the same video and was thinking “those guys could easily get lit up”, walking outside in a stack. I’m glad you confirmed my suspicions. Also, you’re spot on with the general industry teaching weapon handling sans tactics. In fact, in some classes, I have specifically asked tactics questions to be diverted with “it depends, moving on….” This is fundamentally what led me to MVT and why the value of your classes are so high. See you at the leadership class. Classic mvt article. Good reminder, good clarification. Easy to lose some context when one is idle.